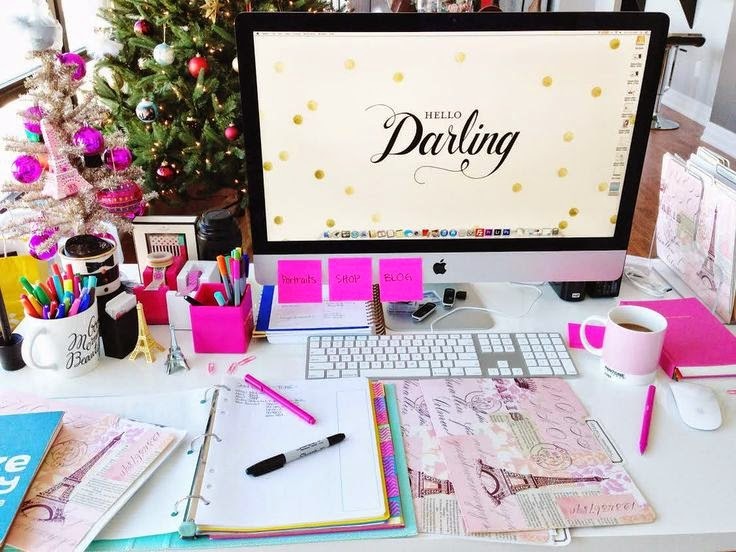 use your office for of course, and whether it's in a place of business that's open to others or in your home just for you and any combination there of. 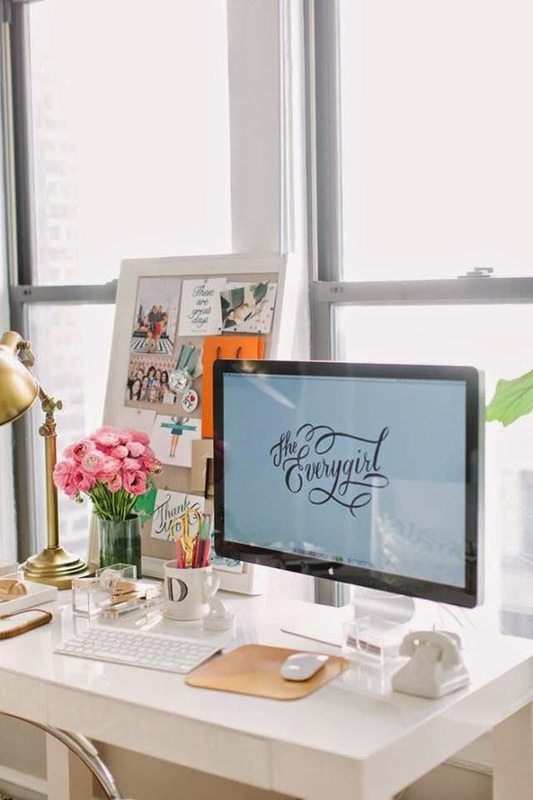 As a blog reader, and maybe a blog writer, chances are you're a fellow creative type so I'm going to focus on beautiful office spaces that are functional and creative. So whether you have a spare room, a closet or a corner of the kitchen, here's some inspiration to take that space from drabulous to fabulous! 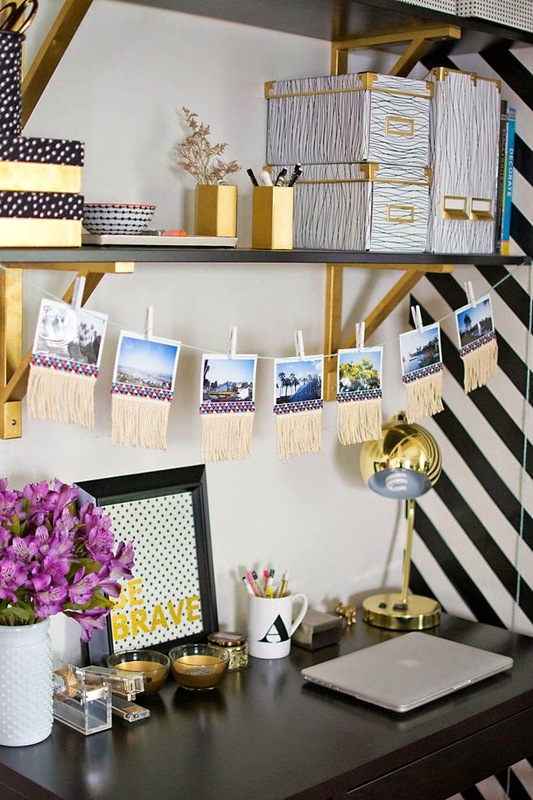 These first two are good proof that all you need is a wall space the length of your table or desk to carve out some creative space and then work your way up by utilizing shelving, a cork board, a string line for pics and notes, etc. 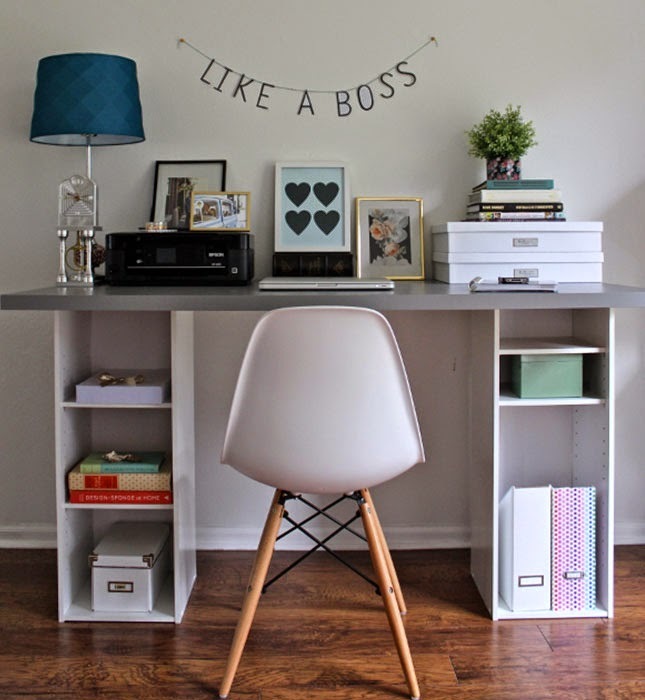 Also, click on via image for the first picture for the deets on this DIY IKEA hack of the desk which is made from two bookcases, genius! 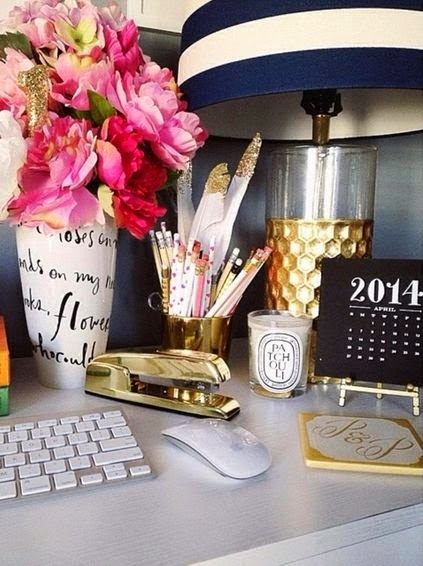 Of course you can't ever go wrong with fresh flowers on you desk. The D coffee mug you can pick up at Anthropology, in my house we each have one on our desks to hold pens and markers. 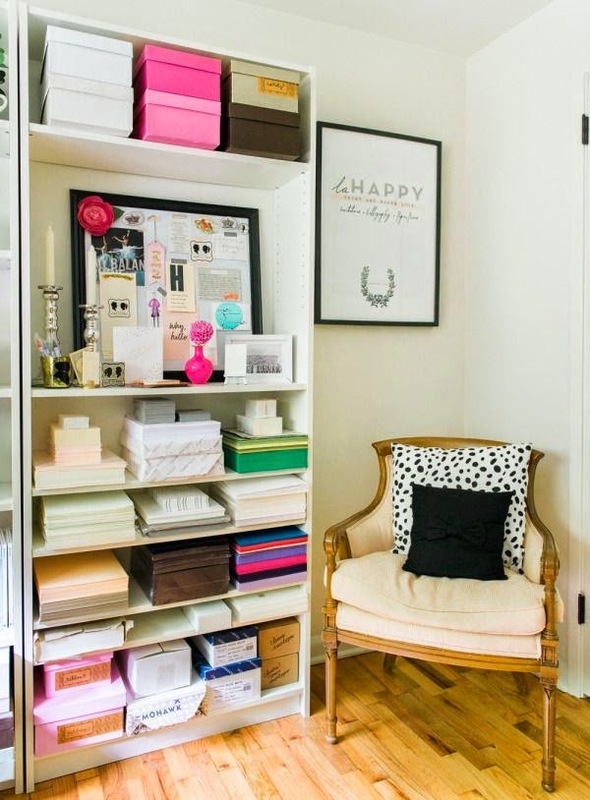 With a Little more space like the one in this home office you can include book shelves (my favorite thing.) 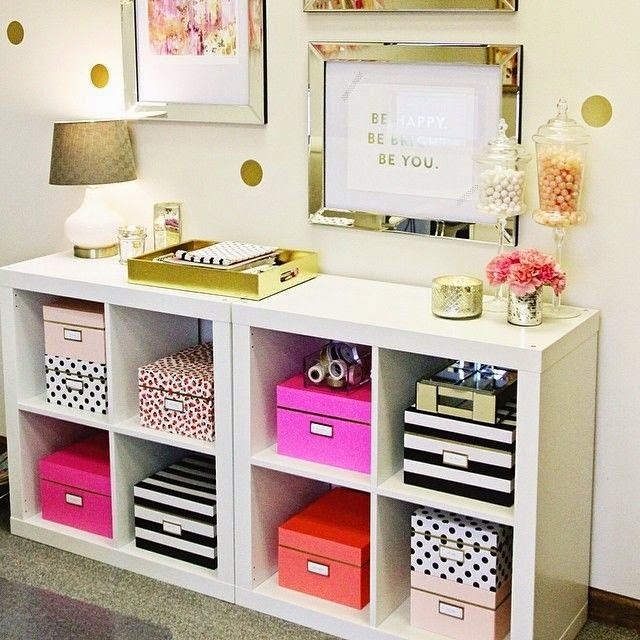 And notice how the space under the high table gets used for storage bins. 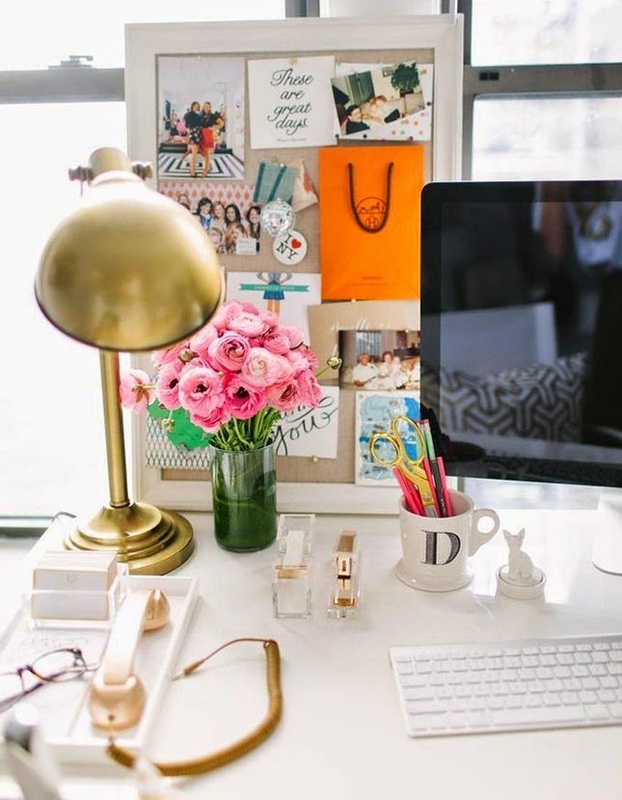 Love a desk in front of a window, all that light! But of course you lose wall space, so here that's solved by leaning a bulletin board against the window. Anyone else a sucker for pink? A simple beautiful parsons table and tray turn this unused area that leads to the back door into a beautiful office space. And of course you can't go wrong anywhere with brick involved. 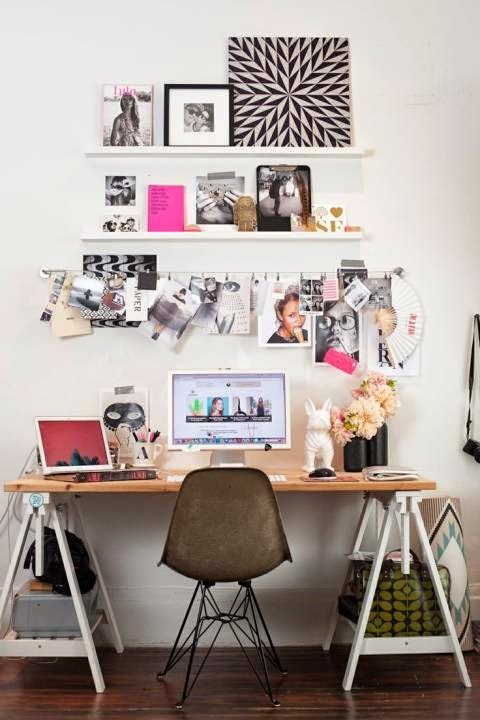 Here is another use of a parsons table as a desk, extra long and narrow to fit the available space. Love the symmetry of the matching lamps on each end. 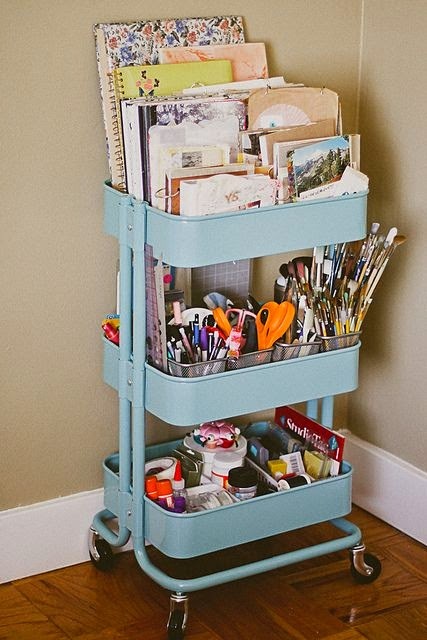 If you have the space for book shelves use them to store office supplies in pretty colored boxes like these. 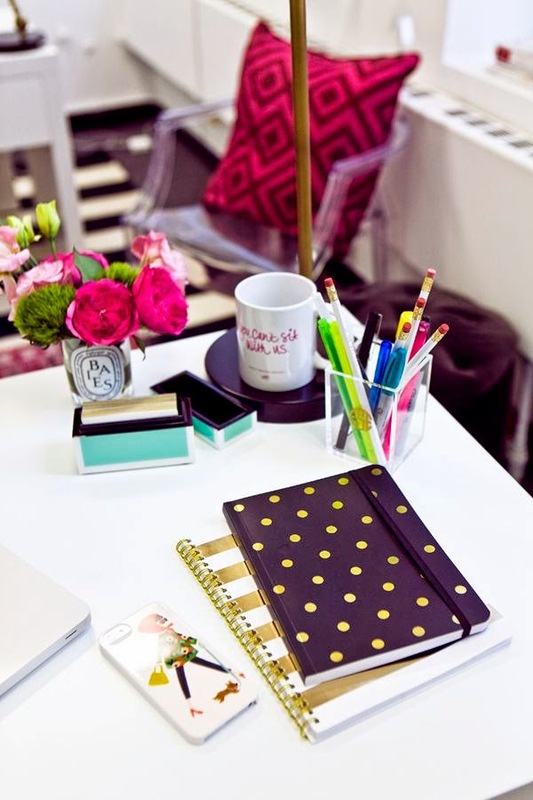 Accessories, the prettier the better! 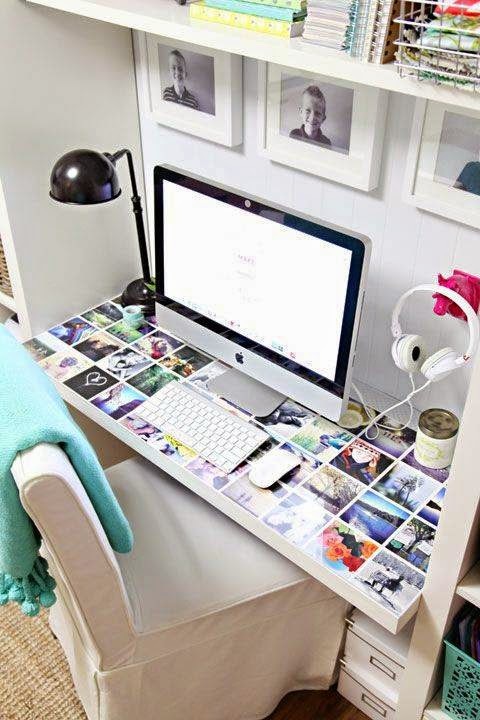 Love this idea, print up those gorgeous instagram pictures and cover your desk under a piece of glass! Not enough desk top space, hang everything! I absolutely love this, I'm a huge fan of these boxes, I use them in my closet to store small things like tights, gloves, travel stuff, etc. 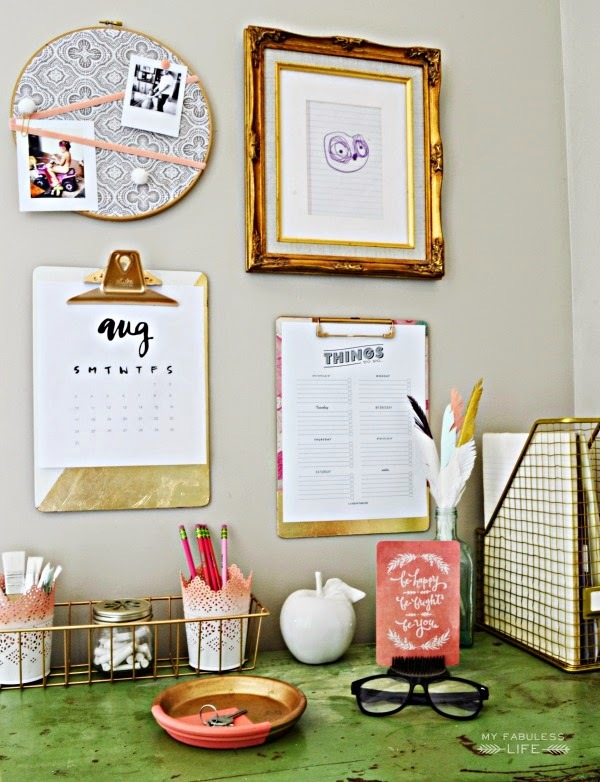 How's this for stunning, this happens to be from my daughters site, she made this marbleized DIY for her new lap top out of stick on shelf paper from Lowes, so EZ and cheap! You can do it to cover a desk top that's seen better days and then put a piece of glass on top, looks so much like real marble! You can duplicate any of these looks on a budget by hunting at Home Goods, Target, TJMaxx, Marshalls, Micheals craft stores, Ikea, World Market, your local thrift store and your neighborhood garage sales.